Kate grew up on a large beef and Quarter horse farm in Wisconsin, and competed in barrel racing on the National circuit. When Kate wasn’t riding horses, she was assisting her father who was an equine veterinarian. Kate graduated from the University of Wisconsin-River Falls with a degree in Animal Science with an equine emphasis, and then went on to the University of Wisconsin-Madison, School of Veterinary Medicine, and was an active leader throughout veterinary school. Kate held numerous leadership positions, including President of the American Association of Equine Practioners Student Chapter, and an ambassador for Cargill-Nutrena, while working as a technician in the large animal operating room in the evenings and weekends. Kate was also very involved in clinical research and worked closely with several staff surgeons on equine research projects. After obtaining her Doctor of Veterinary Medicine degree, Kate went to south Florida for an equine medicine and surgery internship and worked with some of the top equine athletes in the world. Kate continued to be very involved in research during her internship. 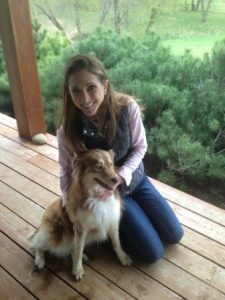 After a brief period in equine private practice, Kate transitioned to small animal medicine. She continues to fill-in as a relief/emergency veterinarian at equine practices as-needed. Although Kate no longer barrel races, Kate owns and enjoys her own horses and remains very active in the equine world. Kate is a member of the American Association of Equine Practioners and currently serves on a Committee helping develop and improve post-graduate veterinary internships. Kate is excited to join the Omega Fields team, as equine health has always been a passion of hers, as well as working closely with equine owners for the improvement of their horse’s health and well-being.